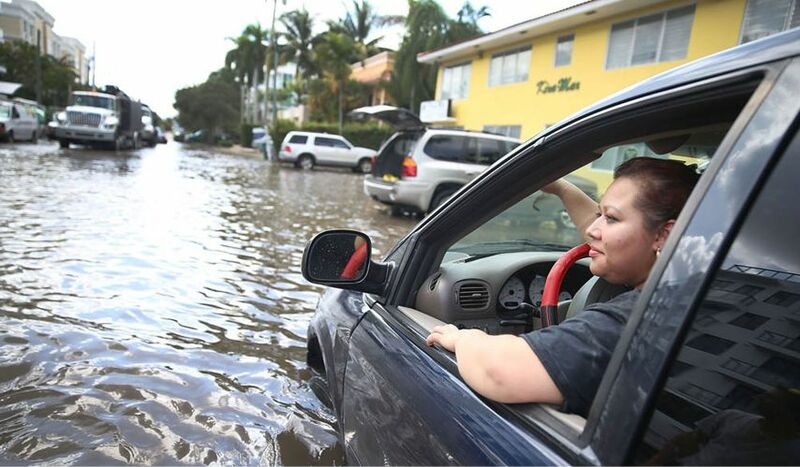 Flooding is already a frequent occurrence in Miami. Rapidly melting ice sheets in Greenland and Antarctica are speeding up the rate of global sea level rise, new research reveals. In future decades, scientists warn, coastal cities such as New Orleans, Boston, and Miami will be inundated unless they invest in costly strategies to mitigate the effects of flooding and erosion. The grim predictions are based on 25 years of satellite data and precise ocean measurements. The data show a total sea level rise of 2.8 inches since 1993. More worrying, researchers say, is that the rise is picking up speed as ice sheets melt, and will double by 2100 to about 0.5 inches per year. They estimate that on average, the world’s oceans will be 26 inches higher by the end of the century. This is actually a conservative estimate, and the total increase is likely to be higher, study author Steve Nerem tells CNN.com. “We are already seeing signs of ice-sheet instability in Greenland and Antarctica,” he says, “so if they experience rapid changes, then we would likely see more than 65 centimeters [26 inches].” The rising seas will cause major flooding in coastal cities, which may have to spend billions on sophisticated sea barriers in coming decades.